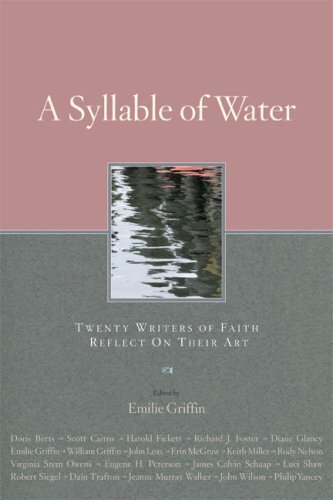 Twenty of today's leading writers of faith--Doris Betts, Harold Fickett, Richard Foster, Erin McGraw, Eugene Peterson, Luci Shaw, Philip Yancey, and others--reflect on all aspects of the writing vocation. Topics include: How to begin, the editor-writer conversation, key differences between genres, motivation and “writer’s block,” the ways writers spend time when they are not writing, and more. Both writers and lovers of the written word will savor the wisdom and flashes of insight in this engaging book. If you have any questions about this product by Brand: Paraclete Pr, contact us by completing and submitting the form below. If you are looking for a specif part number, please include it with your message.